Want to build a better railway? 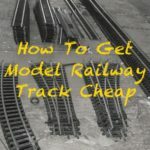 Whatever your level of model railway building this week’s Sunday Scribbles has something for you with five quick tips from experienced modellers spanning track work, model making and baseboard inclines. 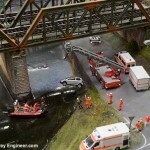 (scroll down for intermediate and advanced model railway building tips). 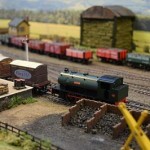 After you’ve got a Hornby starter set you’ll quickly want to expand your layout. 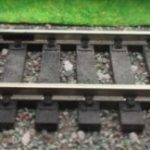 Getting a Hornby track extension pack is the what most people do but there’s another alternative: Peco. This quick five minute overview from Youtuber Calvertfilm reveals the differences. If you’ve added track, either Hornby or Peco, you may then need to add extra power to your track. 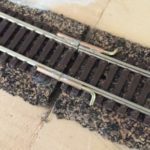 Once again Calvertfilm shows how to solve this problem with a little known Hornby product. These track link clips are available here if you needed. 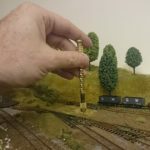 If you’ve got a medium to large model railway and are having conductivity issues, and who doesn’t at some point?, this will light up your day (pardon the pun). 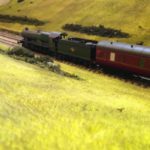 On the subject of large layouts, my next layout – covering Southern England – will be huge and also feature a dizzying number of inclines. I’ve been looking for ways of making these and came across this unusual idea from John Mellor. This Everbuild EVFF5 Fill and Fix seems a good option for this and I’d be interested to hear any thoughts. For the experienced modeler, with the track and core scenery built, a lot of time can be spent on models. While kits from Ratio etc make things much easier these getting these kits to look realistic often requires time consuming work. This quick tip from insert_epic_artist_here on Instagram – yes, that is his? account name – solves one of these problems – creating a realistic mortar look on brick and stone walls. The video of the graphite being applied doesnt state why it improves or how it improves the track? That’s a good point Andy! If you take a look at the video on YouTube ( youtube.com/watch?v=o59W7iwre24 ) there are comments that explain this: it clears gunk off the track, can help with lubrication amongst other things. Give it a go, the trains ran a lot better on some of my track after I used it.